What is an armadillo doing in a blog about ants? Armadillos are distant relatives of anteaters, which might explain why some species also love to eat ants. All 21 species of armadillos are covered with the jointed armor that gives them their common name, a Spanish word for “little armored one.” Armadillos are found throughout South, Central and parts of North America. Bet you didn’t know the biggest, called the giant armadillo, weighs 121 pounds (55kg) and can grow to 4.9 feet (1.5 meters) long. That’s a big armadillo! The armadillos found in Texas and the Southern United States are called the nine-banded armadillos. They are not originally from North America, but have spread to the United States in the last few centuries. 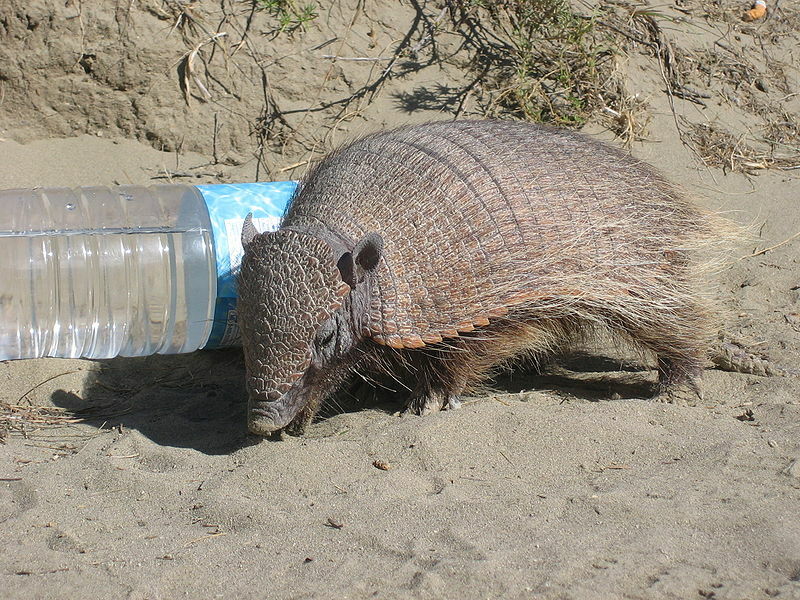 Nine-banded armadillos feed on not just regular ants, but the imported fire ants, making them brave and useful creatures indeed.